Endeavour Financial is a leading international mining financial advisory business located in the heart of London. 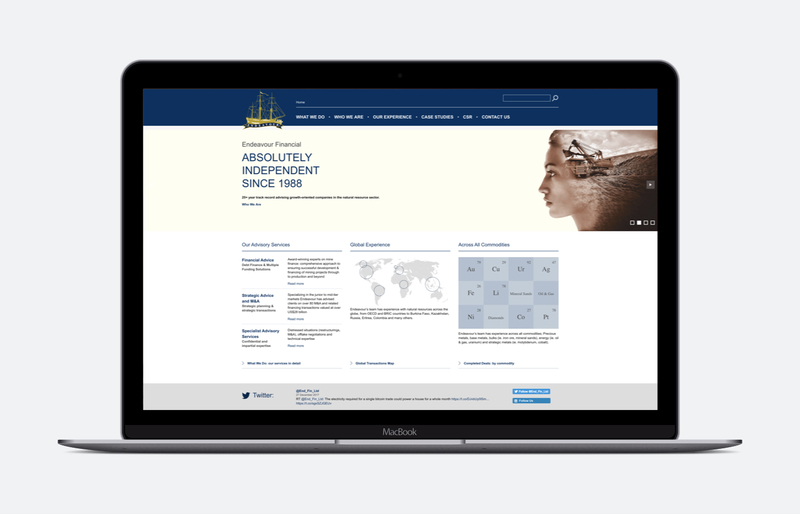 With a wide array of projects within their portfolio, Endeavour needed their website optimised for mobile and small screens whilst also having the ability to edit and mange the site's content. Hyper Pixel was commissioned to converted their website into a WordPress CMS whilst being fully mobile responsive.